The Neapolitan cuff is a compromise between buttoned cuffs and link cuffs. 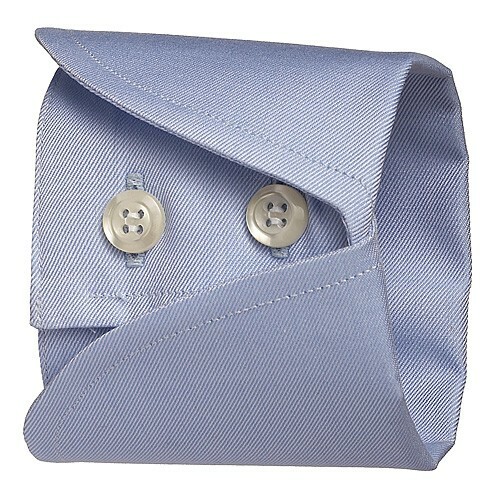 It does fold back on itself however is fastened with buttons not cufflinks. It is often created with a second interior colour which remains very visible inside the fold. This cuff can be worn with a shirt and tie and also with jeans for a smart/casual look. It has an original look which fits well.